Dolours and Marian were convicted with Hugh Feeney and Gerry Kelly (now a Sinn Féin MLA) of the IRA bombing of the Old Bailey in London in 1973. 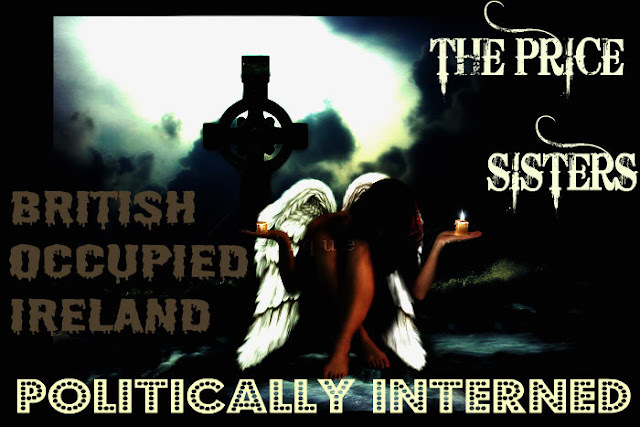 The sisters had together – with Hugh and Gerry – endured the ordeal of a hunger strike for more than 200 days for transfer to prisons in the North. The four were force-fed from 3 December 1973 to 18 May 1974. On 8 June 1974, all four ended their hunger strike after 206 days. They were subsequently transferred to the North. MARIAN PRICE’S health has deteriorated since the death of her sister, Dolours, a fortnight ago and she should be released from prison immediately, Sinn Féin Foyle MLA Raymond McCartney has said yet again. The Vice-Chair of the Justice Committee was speaking after Junior Minister Jennifer McCann visited Marian Price (right). Belfast-born Dolours was found dead at her home in Malahide, County Dublin, on 23 January. 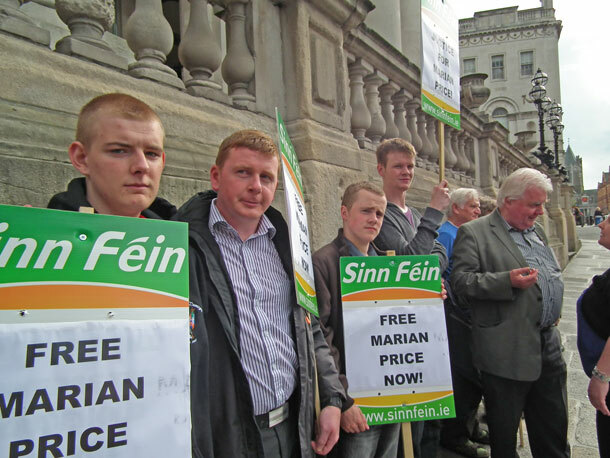 “The continuing imprisonment of Marian Price is unacceptable. It is obvious she is a threat to no one and continuing to keep her in prison is wrong. “It is a disgrace and totally unjust that yet again the date for Marian Price's Parole Commission hearing has been put back. “It is clear that her health has worsened since the death of her sister, Dolours, and it serves no purpose whatsoever to keep her in custody. “Marian Price has already been granted bail on the charges she faces, yet is unjustly held at the diktat of the British Secretary of State. She should be released on bail immediately."